Sutton and Wawne Museum Remembering until Christmas. 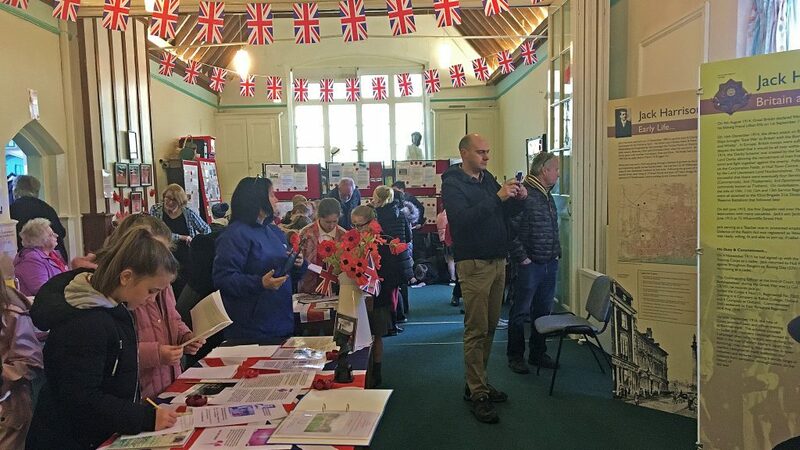 The hardworking team of volunteers at Sutton and Wawne Museum have gone above and beyond this year, with their special Remembrance display which was open over the 100th anniversary of the Armistice which brought an end to hostilities in World War 1. The exhibit will run until the museum closes for Christmas next month. After former Hull City Councilor Terry Keal started researching victims of the Great War from the local parish around the picturesque East Hull Village, certain names have been ‘brought home‘ in a very special display, which has brought the whole community together. Earlier this month I visited the museum and found it to be absolutely thriving, with a new display of Commonwealth War Graves Commission (CWGC) certificates, along with stories of some of the newly found men from the area who made the ultimate sacrifice in the war. Liz, the joint manager of the museum told me: “It first started four years ago, on the 4th of August, when we had the candlelit vigil at the war memorial. We said then, in four years at the end of the war, we’ll do another exhibition, and this is the result of a lot of hard work from our volunteers, and research into all the men. We were then joined by researcher Rob, another volunteer at the museum, to tell us about the specially knitted 224 poppies, which were made in memory of the newly found victims of the war. So just how emotional has this journey been for the team at the museum? When an exhibition like this has so many visitors, what does it mean to this team of volunteers at the museum? Both Liz and Rob definitely agree, with the amount of local participation, it has definitely brought the local community together. Last year in Sutton, there was a commemorative paver laid in memory of Jack Harrison, because he won the Victoria Cross, did the attention on that help this project? Sutton and Wawne Museum website. 2 Comments on "Sutton and Wawne Museum Remembering until Christmas." Thank you Ian for your report I don’t know where we would be without people like you in the media, it is so disappointing when much larger so called media organisations can’t respond to information fed to them. I would like to correct the impression that “we”, the current staff, started the museum. We didn’t, Merrill Rhodes and her husband Peter started it, and that was around 1998-99. I only got involved to create a website page in about 1999, but the museum was already going strongly by then. So the website is just a couple of years or so younger than the museum itself. Merrill retired from running the museum about 3 years ago, but we do welcoming her most Fridays when she calls in for an hour or so. The credit for what we have today is all hers. Rob.